A prophy includes a series of procedures where plaque, calculus, and stain are removed from all surfaces of the teeth above the gumline. This is done with hand instruments, ultrasonic scalers, and coronal polishing. Only a licensed dental professional is qualified to determine the need for oral prophylaxis. 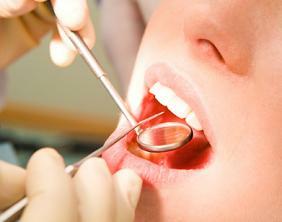 Only a dentist, dental hygienist, and trained dental assistant can perform the procedure. These intervals can be as frequent as every two months and they can be extended as long as six months, depending on the patient. Keeping up you're your PMP interval is important because periodontal disease can recur without adequate follow up. 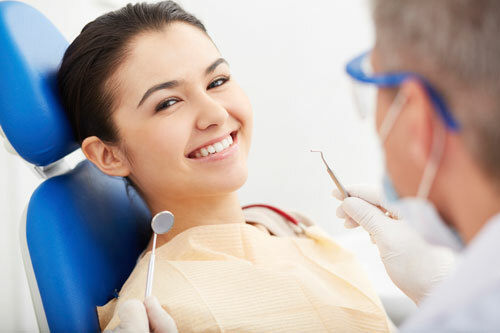 Scaling and Root Planing is done to remove soft sticky plaque and hard crusty calculus that is loaded with bacteria, around and BELOW the gum line on root surfaces. A professional polishing or prophy removes only the soft sticky plaque and hard crusty calculus that is ABOVE the gum line on the crown of the tooth. It is a method of treating gum disease when pockets formed around the teeth have a measurement of greater than 3mm and there is evidence of bleeding and tissue attachment loss. Scaling is a procedure that meticulously removes contaminated biofilm, plaque, calculus, micro-organisms, and toxins from around the gum line down to the bottom of each periodontal pocket in order to obtain a healing response. Root planing involves smoothing the root surfaces of your teeth with thin instruments so gum tissue can more firmly reattach to roots that are clean and smooth to prevent tooth loss and sensitivity problems. This procedure makes it more difficult for plaque, calculus, and bacteria to accumulate along these root surfaces. • To control the growth of harmful bacteria. (bacteria ABOVE the gum line are less aggressive bacteria whereas the bacteria BELOW the gum are more DESTRUCTIVE and DANGEROUS! 1. Rinse with warm salt water every few hours (1/2 tsp. salt in 8oz water) for the remainder of the day to encourage healing and sooth discomfort. 2. Be careful not to bite or chew your lip, cheek or tongue while they are numb. Avoid chewing for 2 hours after this procedure or until numbness has worn off. 3. Keep your fingers and tongue away from the areas that have been treated. 4. Take Tylenol or ibuprofen according to directions on the manufacturer label for a couple of days to help with the discomfort; do NOT take Aspirin because it may prolong bleeding. 5. Rinse your mouth with Closys or Chlorohexidine, if prescribed by dentist, to reduce oral bacteria. 6. Do not smoke or chew tobacco for 72 hours after the procedure to allow for healing. 7. Gently brush and floss your teeth after each meal. How you care for your teeth and gums at home after treatment is critical to reduce the risk of recurring periodontal disease. Are Cavities in Kids' Teeth Inevitable?